Diederik van Dijk spent his early childhood in the Netherlands and his high school and university years in Canada. He studied cello with Ian Hampton, Eric Wilson, and Marc Destrubé, and baroque cello with Viola de Hoog. This last study brought him back to the Netherlands, where he lives now in the city of Utrecht. 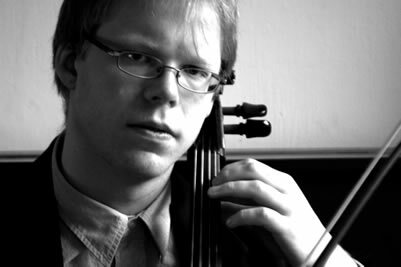 Being at home on both modern and baroque incarnations of the cello makes Diederik a much sought-after instrumentalist. He is a member of the Nieuwe Philharmonie Utrecht, has performed with Currende, appears regularly in the productions of Holland Opera and has done theater productions with Het Zuidelijk Toneel and Sonnevanck, both for adults and for children. Since 2007 Diederik van Dijk has spent his summers in Newfoundland, Canada, as part of the Gros Morne SummerMusic ensemble-in-residence. Alongside his love for the classical repertoire, Diederik has developed into an active performer in the popular realm. He bought his first guitar when he was eighteen and started writing songs immediately. Ever since he has been part of innumerable bands, fusion ensembles, album recordings, and singer-songwriter projects.